Another late post, sorry! Since the last post, the past 3 months have been extremely busy at work thanks to the scorcher of a Summer. I’ve managed to rack up more hour building and I also got married to my beautiful wife! This post is another short one in the way of words, instead more pictures to illustrate a Summer aloft. Enjoy! No flying on this day! Another trip to Sandown thanks to the free landing vouchers in Flyer Magazine! The view from the tower. 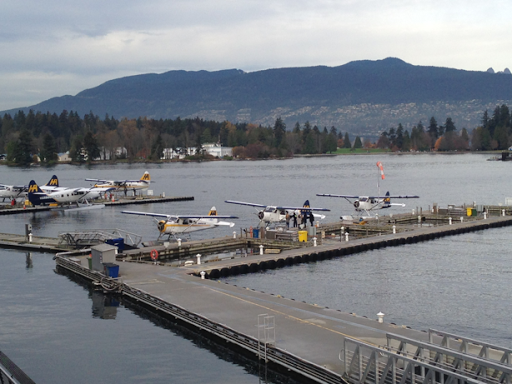 A hazy morning perfect for a local flight to practice PFLs (Practice Forced Landings). The plotted route showing the westbound transit through Southampton towards the New Forest. Since my last post I’ve managed to get airborne on quite a few occasions thanks to the superb hot weather we’ve been experiencing lately. My hour building has been a mix of short navigation exercises coupled with plenty of circuits and some general handling for good measure! 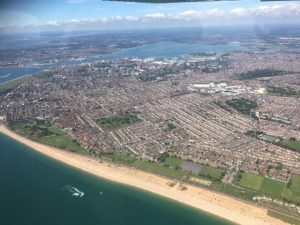 I also completed a Class D airspace zone transit through Southampton Airport’s overhead which was great to practice the RT (radio telephony) skills and fly a heading under radar control, I will certainly make zone transits a regular occurrence in the upcoming hour-building. Above is a snapshot from my VFR chart showing my westbound routing through the zone. Crossing the 20 numbers whilst transiting Southampton’s overhead. Keeping a keen weather eye on that fog bank drifting off the Solent, just west of Beaulieu, New Forest. On another short navigation exercise I planned to fly a straight line between two points – Thorney Island and Four Marks, which was a very straight forward route, however I wanted to practice a drift correction method so I was purposefully slack in holding an accurate heading, allowing the aircraft to drift with the wind at 2,000ft. As I reached the half way point on the leg shown on the picture of my chart below I could determine how far in degrees I was off track, by which I then corrected for the drift by doubling the track error. The purpose of this being to arrive back on the intended track at my destination, correcting the heading to offset the drift caused by the wind initially. 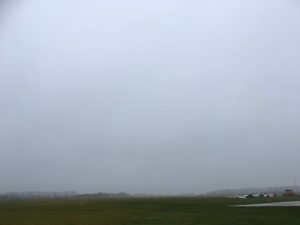 After a wet March and April, May proved to be a lot drier, bringing some much settled weather suitable to ‘commit aviation’ in! 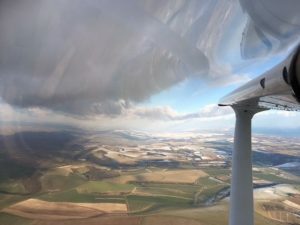 Since my last post, (which I appreciate was a long time ago) I have been checked out and have logged some flying hours in one of the flying school’s Cessna 172 aircraft which is having its engine ‘run in’. This procedure occurs after an engine overhaul or cylinder replacement; the purpose being to house the piston rings inside the cylinder walls effectively – created by expansion through high pressures by operating the engine at high power settings. Flying this aeroplane for some hour building has been ideal for navigation flights of at least an hour airborne because the running in procedure avoids any activities using low power settings like stalling, circuits, or flights of less than 45 minutes airborne. However, an engine which is running in is absolutely fine for navigation exercises flown at 2450 rpm – and believe me, you get to your destination pretty quickly, covering some decent distance! Whilst I’ve been getting back into the swing of hour building I’ve been able to cover exercises like diversions, VOR tracking, navigation using a chart and stopwatch and creating CPL style PLOGs for each flight. 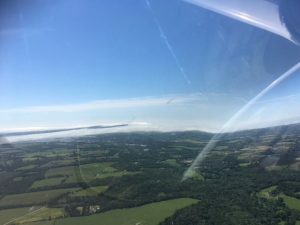 I try to fly accurately to CPL standards – +/- 100ft for altitude and keeping within 5 degrees of desired heading on the DI. If I can try and fly to these standards and cover exercises from the CPL course now, it hopefully should make the transition to this next stage a little easier! A FlightRadar24 track of one of my navigation/ diversion exercises! Goodwood-Dorking- Goodwood – tracking both the MID (Midhurst) and GWC (Goodwood) VORs. 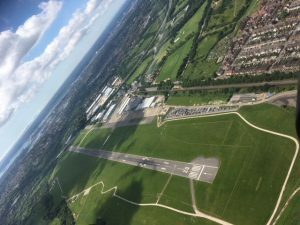 Goodwood-Uckfield – Tunbridge Wells VRP – Bough Beech Resr- M25/M23 Junc VRP – Guildford- MID VOR- Goodwood ( an anticlockwise nav around the Gatwick zone). As well as a few local flights and a few sessions of circuits thrown in! More trips to follow, thanks for reading! Amongst the hour building, I’ve had a few trips in the Super Cub too, great to get some tailwheel exposure again, I plan to do more flying in the Cub as part of the hour building. 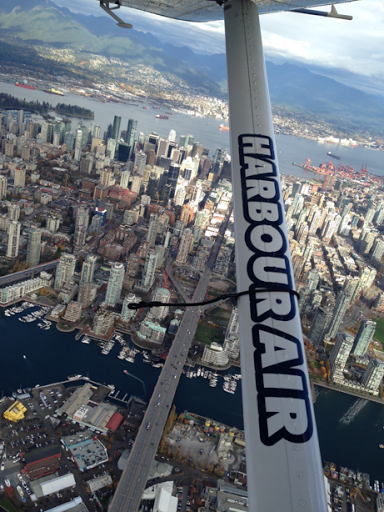 As hoped, February brought drier and much colder weather, enabling many people myself included to get airborne again. 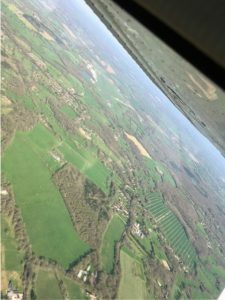 As part of a repositioning exercise, we had to fly one of our flying school aircraft back to its home airfield, I was able to combine this with a currency checkout flight in the Cessna 172. 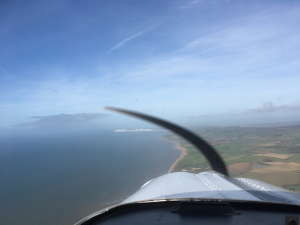 As luck would have it, on this particular day the wind was a sporty northerly- ideal for some crosswind circuit practice at both Lee-on-Solent and Goodwood which both have roughly east-west runways. I was glad of this as I wanted to focus on these with a patient instructor sat next me! 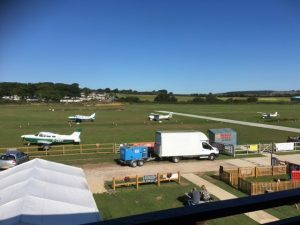 We took off from Goodwood in the ferry aircraft, three on board- me and two instructors – one instructor to ferry the aeroplane back, the other for the check out flight. 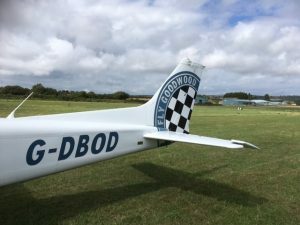 I flew both legs and experienced a very soft field crosswind take-off from runway 28 at Goodwood. This was a good experience for me as it was something I haven’t done in a while – keeping the control column back to keep the weight off the nose wheel, into wind aileron – progressively moving the control column back to neutral as airspeed builds. To measure take-off performance, I’d planned that if I wasn’t at 70% of my rotation airspeed by the midpoint of the runway – I would abort the take-off. Luckily this wasn’t the case and we lifted off, pushing slightly forward on the control column to let the aircraft build airspeed in the climb. The flight to Lee was uneventful, joining downwind for runway 05 for a rather surprising smooth crosswind landing! 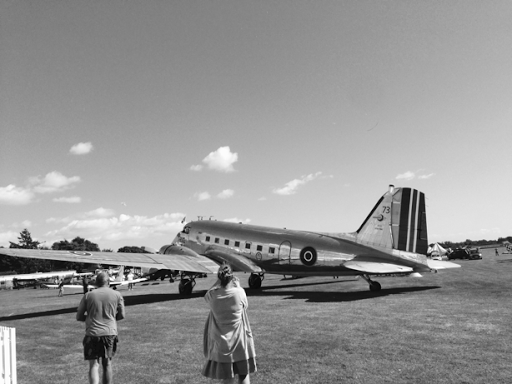 After a quick aircraft swap we fired up and flew three circuits before heading back to Goodwood. I needed these to satisfy the CAA currency rules before taking up passengers- 3 take offs and landings within a 90 day period. This was a good exercise to practice crosswind circuits, adopting the crab method all the way down to the roundout for landing. This involves using rudder to point the nose of the aircraft into wind all the way down the approach to counteract any drift. Upon the roundout, I apply rudder in the opposite direction of the previous input to point the nose straight-inline with the runway centreline and apply into wind aileron to prevent any drifting caused by the ‘sideways acting’ wind! It was highly beneficial to get some practice on these and hopefully use them often to keep the skills sharp. My next trip will involve another checkout flight to fly one of the flying school Cessnas which is having its recently overhauled engine ‘run in’. 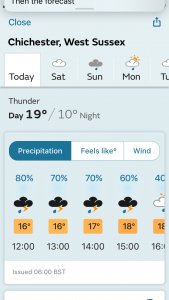 Not so much a ‘dry January’…. Well what can I say? 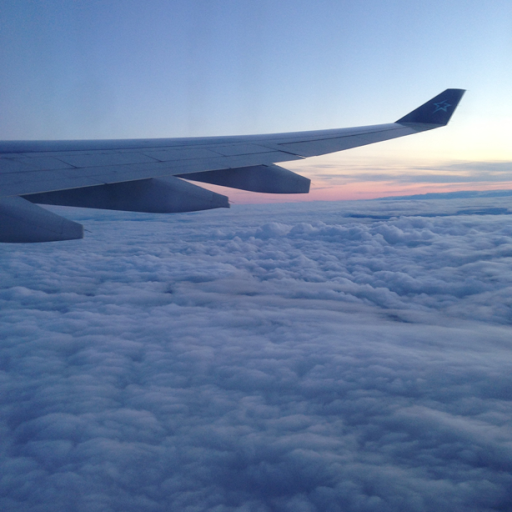 I know I’m not alone when I say I miss flying! 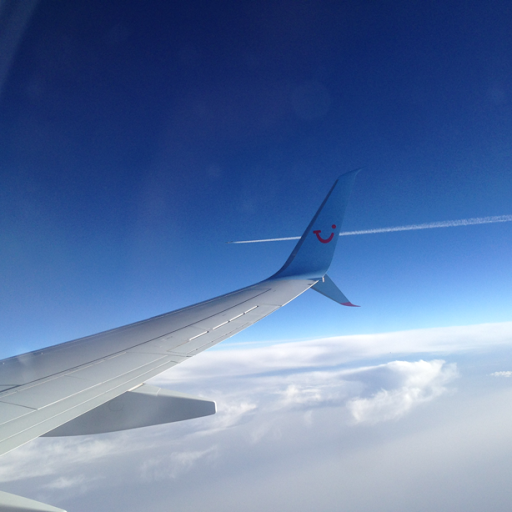 It’s certainly the talk and frustration shared amongst the flying types I rub shoulders with everyday….the weather! 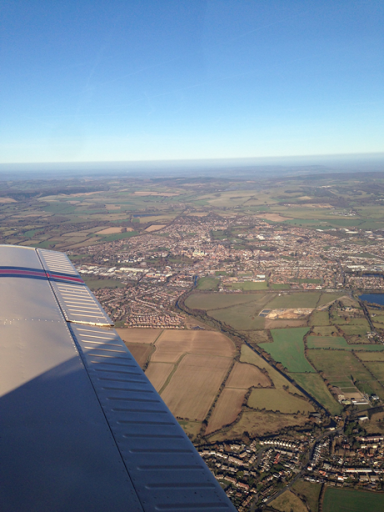 But it was January after all and any flying this time of year is a bonus! It has meant that I can spend time thinking about how to structure the hour building and get inspiration on new airfields to visit. 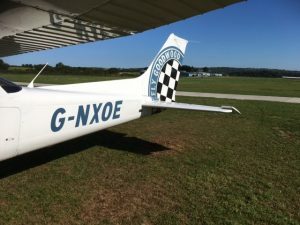 It’s been a while since I last flew so it’s going to take a few refreshers to shake the rust off and get current again, so I plan on getting current on one of Goodwood Flying School’s Cessna 172S’s an aeroplane I learnt to fly in some eight years previous! A steady mix of genberal handling, PFLs and a stack of circuits should certainly help, I hope to cover some crosswind circuits too as you can never practice them enough! Anyway that’s about it for now, I (and everyone else) is hoping for a drier and more settled February so hopefully I can get airborne again, once the flying gets going again the posts should be more frequent crammed with more content so stay tuned! This sight greeted me upon arrival at work one morning. 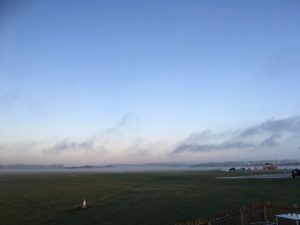 It shows a very shallow layer of radiation fog blanketing the airfield. It forms when the land cools overnight and subsequently cools the air immediately above its surface. As this air cools it condenses and looses its ability to hold moisture so it forms condensation and fog occurs. It normally burns off once the sun gets to work on it, but it was particularly slow to clear in some places on this day in early January! Pre-flighting KH, a beautiful calm dewy autumnal morning. 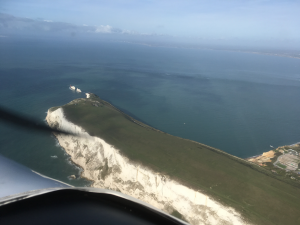 As a gentle introduction back to hour building I thought I’d take the trusty PA38 Tomahawk ‘KH up for a local area navigation flight from Goodwood to Goodwood via a lap around the Isle of Wight. 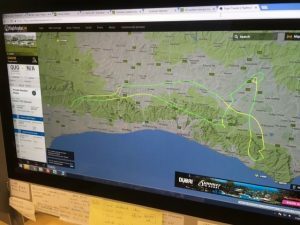 I planned the route via the following waypoints; Goodwood-Southsea-St.Catherines Point -The Needles -Cowes-Southsea -Goodwood, the route taking around 51 minutes with the forecasted winds. 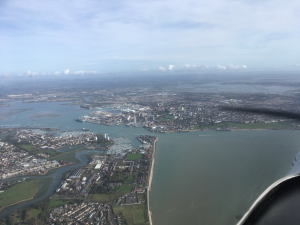 Cruising over towards the Solent, Portsmouth -Hilsea and Copnor can be seen from the starboard wing as pictured . 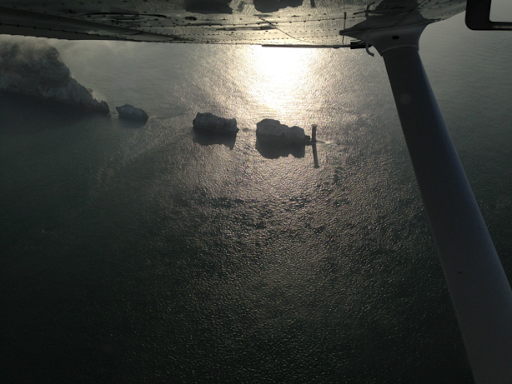 Overhead my turning point at St Catherine’s Point, turning onto a heading towards the Needles. was beneficial to practice those RT skills! 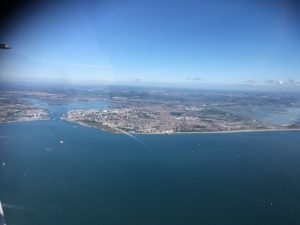 Inbound back to Goodwood, part of Gosport and Portsmouth- the new aircraft carrier HMS Queen Elizabeth can be seen to the left of the Spinnaker Tower. A possible site for a forced landing…..?! Following this flight I plan to build up the complexity of routes and landaways, I’m away on holiday in November so will be looking to carry on in December onwards! I need to build a further 42hrs of PIC ( pilot in command ) time which realistically will be spread over the next year in chunks due to financial restraints and other commitments. 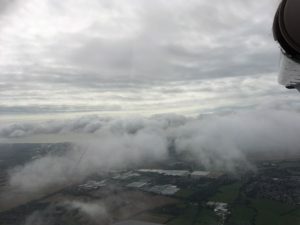 During my ATPL study I flew very infrequently so my flying skills are ‘rusty’ but this was to be expected! 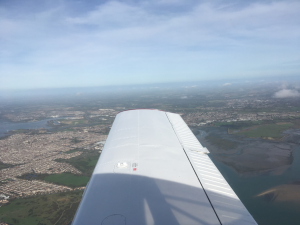 I have been taking advantage of flying dual with an instructor during checkouts on various aircraft which is helping me build confidence and gain valuable experience, learning new things every time . 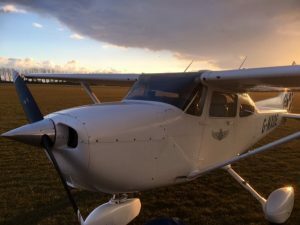 As I write this I’m half way through a checkout on the beloved ‘KH- the group shared PA38 Tomahawk and also fully checked out on the Cessna 172-the aircraft I learnt to fly in and incidentally based where I work now- the flying school. I’m also keen to build further hours on the school owned Piper Cub- gaining some hugely beneficial tailwheel time. This will do wonders for sharpening my flying and handling skills! I promise to be more frequent with the future posts, next time I’ll report on my recent trips and jot down my rough hour building plan! Since I last wrote, a lot has happened. 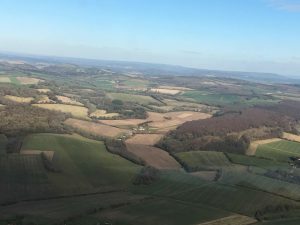 It was the last 4 weeks before undertaking the Module 3 ATPL exams – principles of flight, performance, operational procedures, mass and balance and VFR/IFR communications, and the revision was ramping up. Since then, I’ve attended the revision brush up week at Bristol Groundschool in Clevedon and sat the final exams the following week. Results day loomed and I was pleased to say I passed all except that doomed mass and balance exam! I wasn’t too surprised, it was the toughest exam to date and my gut instinct didn’t fill me with optimism! Was I unprepared, too tired ( it was the last day, second to last exam), complacent, or misreading the questions? Who knows, I’m not one to make excuses! I was happy with all other results so I just saw the positive through the failure and worked hard to revise further and practice as many mock tests and questions as possible. I was determined that I would pass the exam second time around! I booked the resit for two weeks later at the CAA at Gatwick as I was keen to get it done whilst my brain was still engaged in ‘study mode’ , before I forget it all! 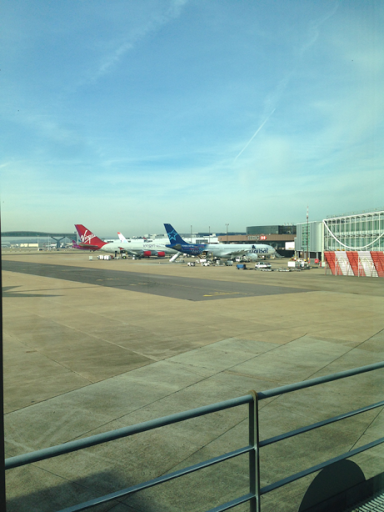 Exam day arrived and I made my way to the CAA at Gatwick. I signed in and nervously waited to enter the exam room. Time soon passed and before I knew it I was into the exam working my way through it, quickly but accurately! I managed to finish in time with 5 minutes to spare so I triple checked all answers and felt I’d given it my best shot. I vacated the CAA feeling like I’d done better but unsure how much better as it was another tough one! Luckily by taking the exam on the Thursday meant I had to wait less than 24hrs until results day. After an anxious wait I was greeted with good news. I opened the email at work, I had passed! And passed well with 90%! I was ecstatic and it took a while for it to sink in! Not only was this a pass but it was monumental as it marked the last of all 14 ATPL exams!! All of that study and revision that had completely taken over my life was now complete! It was like turning off a switch! Obviously this is just a small step on a long ladder to reach my goal so I know study will never be too far away, and as they say in aviation-you never stop learning. The next step involves me climbing back into an aeroplane and building hours….! It’s exactly one month today until I sit the first of the final six exams for Module 3 at Bristol Groundschool. My lack of posting recently is a sure sign of the level of revision I’m undertaking! Lots of early mornings, late nights and revision crammed lunch breaks at work and many more to come! I feel the revision is going fairly well, I’ve got a structure in place to follow over the weeks so it means that each subject gets an equal amount of attention, I’ve structured it so that it will be a mix of exam questions, timed exams and re-reading the manuals. I’ve found that re-reading certain topics is highly beneficial as I’ve understood things better and been able to get my head around certain subject areas when studying them a second time around. 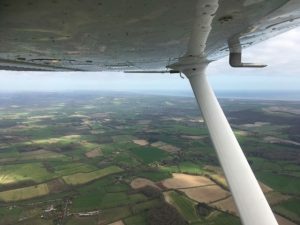 From what I’ve gathered from friends who have just completed Module 3, it certainly pays to gain a really good understanding into some subjects like Principles of Flight (PoF) and Performance rather than just familiarising yourself with questions. I enjoy PoF and find the content interesting, but need to spend time practicing more and more exam questions. Mass and balance is quite systematic but again, I need to practice more and more as the time restraints will be a concern in the exam! Anyway till next time, thanks for reading. Just another quick update from me with regards to the ongoing Module 3 study. I’ve now completed all the required reading for VFR/IFR Comms, Mass & Balance and Operational Procedures, next up is pure revision for them! I also booked my exams earlier in February with the plan to take them at the end of May. I was quite shocked at how the sittings were already being booked up, so I had to act fast! It also meant paying for them in advance so six exams at £68 wasn’t a pleasant welcome to the bank account! Anyway, at least I can rest in confidence that they are all booked, just now to revise and prepare! Time to go to town with post it notes and flash cards!! Going back to the end of last year, after a tense wait before Christmas I received those valuable emails from the CAA, it was results day! 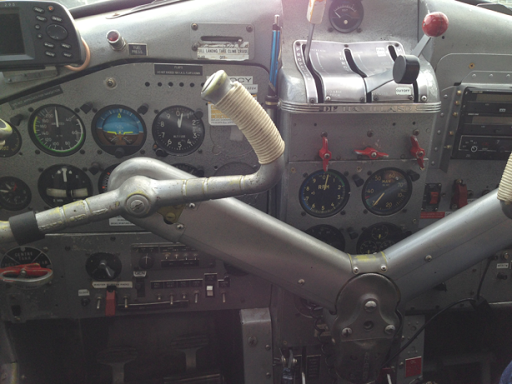 Luckily all Module 2 subjects passed – Aircraft General Knowledge, Air Law, Flight Planning and Radio Navigation. 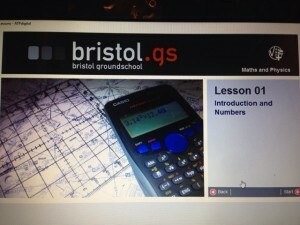 This was a great relief and thankful yet again to Bristol Groundschool for this success! The study is so far going well, and I’ve now got an appreciation of the more harder subjects and the easier ones. Performance and Principles of Flight seem quite mathematical in places whereas Ops Procedures is fairly factual based, IFR and VFR Comms was completed in a week! As 2016 ends, I thought I’d share a few moments from the year relating to all things aviation, in no particular relevant order! 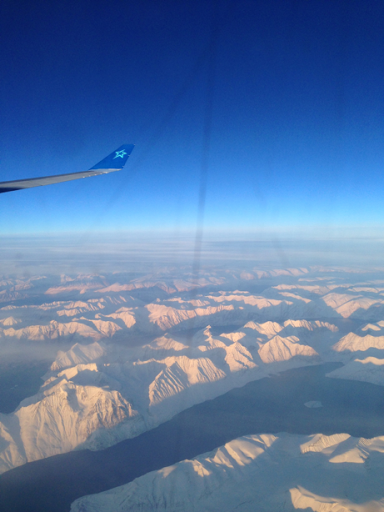 Prior to boarding to Vancouver on Air Transat Airbus A330-300, surprise holiday from my girlfriend! 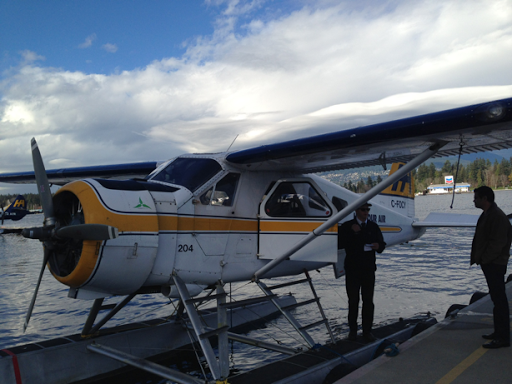 Prior to boarding a DHC-2 Beaver seaplane for a short flight around Vancouver, really exciting! 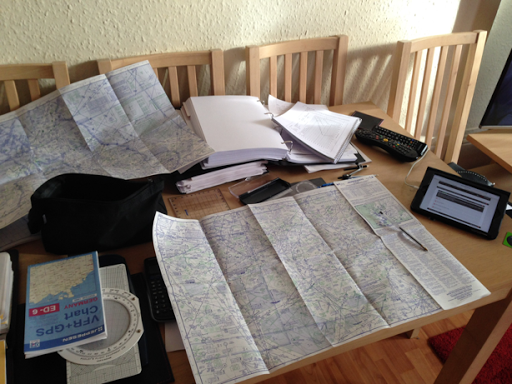 Head in the charts…ATPL study in progress, Flight Planning and Monitoring to be precise! Myself looking super smug again after soloing the Piper Super Cub for the first time during my tailwheel conversion in August. Once again, apologies for the lack of posts recently, a week tomorrow I pack up my car and head to my accommodation in Bristol prior to the revision/brush up week and following Module 2 exams at Bristol Groundschool. Revision is in full swing at the moment as I undertake mock exams and questions on the hugely helpful Bristol BGSonline question bank! I’ve also found that creating digital flash cards has helped me to revise, creating questions and answers and reviewing them frequently. There are a number of decent apps for the smartphone or tablet which enable you to study whenever, wherever-really useful for people like me! I’m looking forward to consolidating my revision during the revision week and finally get the next batch of exams done, which will be between 19th and 21st December and then head home for Christmas for a break! Anyway enough from me for now, till next time…thanks for reading. August and September were busy months mixed with flying, work, study and birthdays, so I found time to study more during the evenings. The pace of study and revision is building by the week as I work towards my revision and exam weeks at Bristol Groundschool in December, I’ve got a strange feeling two and quarter months are going to whizz by, so preparing myself now!! I’ve just finished reading the lessons for Air Law and Radio Navigation and nearing completion of the other two subjects. Thankfully I have moved on from electricity in AGK (by no means my favourite subject!) and just finishing up on Powerplants, some of this is familiar from PPL theory (piston engines) whilst some parts not so, but interesting all the same! 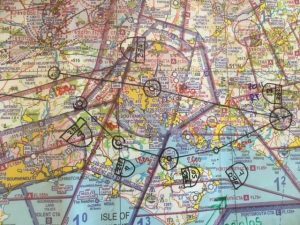 In Flight Planning and Performance, I’ve recently covered VFR and IFR Navigation, which again I found very interesting but a very high degree of accuracy is certainly needed when reading the charts as I found out! I’m now covering the fuel planning topics which should near completion of this subject. Anyway, just a short post this time, I will try to update regularly as I can when time allows! 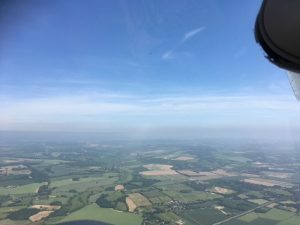 Bristol Groundschool student – newly qualified tail-dragger pilot! 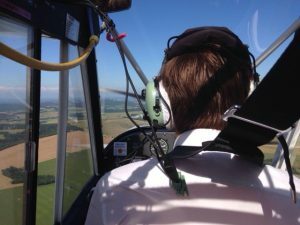 The seated position of concentration, holding height in downwind leg! Downwind for runway 24 at Goodwood. 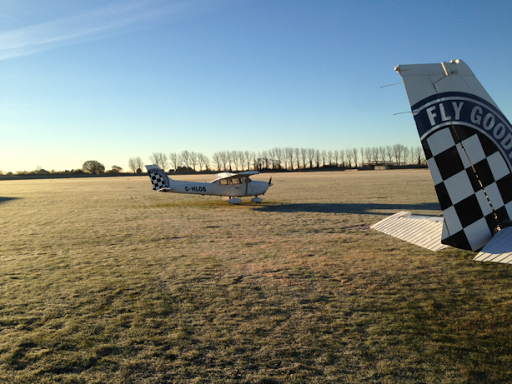 Last Wednesday I landed the Cub, kept the aircraft straight during the landing roll and taxied off the active runway. I stopped momentarily, with a huge grin on my face and a series ‘wahooo’ exclamations! I’d flown the Super Cub solo around the circuit for the first time, completing the final stage required for my tailwheel conversion. I really enjoyed all the training towards gaining this endorsement on my licence having completed the general handling, ground handling and a lots and lots of circuits! Working in flying school ops, I was lucky to gain quite a few ‘taxy’ trips taking the Cub from its daytime spot outside the flying school to its night-time retreat in the hangar. This helped me to gain experience and confidence in taxying a tail dragger on the ground. With this training under my belt, I will continue to hone my skills on flying tailwheel, alongside tricycle gear aircraft, and fly on a more regular basis once my ATPLs are complete. I am incredibly thankful to all the patient instructors I flew with! (You know who you are!) and of course to the Air League who provided me with the bursary to undertake this training. Apart from flying, my evenings have been spent making steady progress through the lessons of ATPL Module 2. I’ve nearly finished Air Law and will soon undertake mock exams for this via the BGS online question bank-a life saver amongst many students!! I’m currently working through flight planning which so far I find enjoyable, the same can’t be said for AGK electrics that’s for sure!! I find this challenging but will spend extra time to learn the fundamentals of this important topic. (All photos thanks to instructor Charlotte Dadswell). 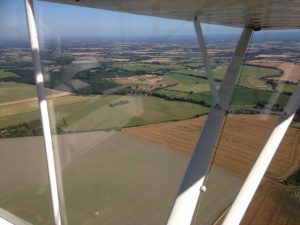 Last Sunday I began the first step towards the training required to gain a tail wheel conversion on my license, flying in the Piper Super Cub (150hp) G-DRGL belonging to Goodwood Flying School, where I work. But how did I get to be in this position? 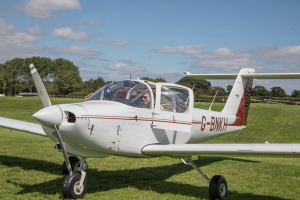 The answer is, a very grateful one, as I was granted a flying bursary from a generous sponsor through the Air League in April 2016 which I will use to cover my tailwheel tuition. 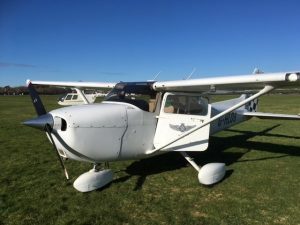 After completing Module 1 of the ATPLs with Bristol Groundschool, I couldn’t wait to get started on the Cub. In order to gain the conversion, the training covers aircraft taxying ( appreciation on the position of the centre of gravity and wind direction) general handling and plenty of circuits to master the take-off and landing. I found taxying the aircraft a challenge, because I’m not the first pilot to admit that I haven’t used my feet much during taxi and sometimes flying! 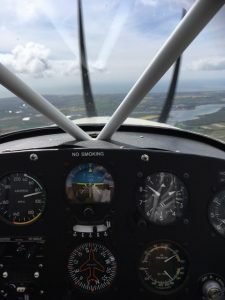 Taxying a tailwheel aircraft opens up many new challenges that must be overcome, like having a constant appreciation of the wind direction and how best to move the control surfaces to stop the wind playing havoc and turning the aircraft on its nose! Something I never wish to see!! Secondly due to the high nose attitude, myself and the instructor behind me have a limited view ahead, so it’s important to gently weave the aircraft to clear the path ahead. My next lesson is on Saturday so it’ll likely be in the circuit learning how to take off and land in a tail dragger! Can’t wait! 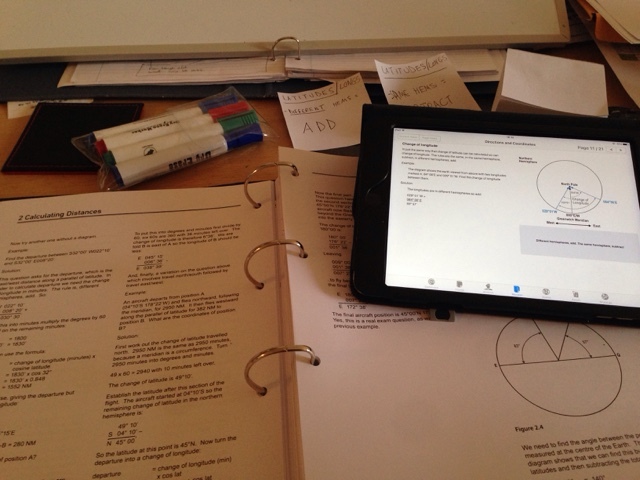 ATPL study is still going well alongside work and flying. I’ve decided to focus more on one subject at a time and currently working through the more challenging topics of aircraft electrics in AGK! So after a short wait, I received my results for the four Module 1 ATPL subjects last week,and I was relieved to find I had passed them all! I came away from the General Navigation exam unsure if I had passed, as I struggled to finish it in time, the two hours allocated for the exam is by far the quickest two hours I have ever known!! Overall I am very pleased with the outcome and realise that all the revision paid off and can’t thank Bristol Ground School enough for the brush up week which prepared me well for the exams. So 4 down, 10 to go! Since finishing the reading of Bristol Groundschool Module 1 which includes 4 subjects, I’ve been working flat out on revision towards the first set of exams – General Navigation, Meteorology, Instruments and Human Factors and Performance. During the last week of May I packed my car up with two-weeks worth of clothes, revision books and some food and set off to a lovely village called Churchill, south of Bristol where I stayed whilst attending the brush-up revision week and exams at Bristol Groundschool. The brush-up week consisted of revision sessions from 8.45-17.00, Mon-Fri in all four Mod 1 subjects. I found this week extremely beneficial to help prepare us for the forthcoming exams, we studied aspects of each topic in detail, especially if it’s notoriously tricky as well as plenty of past exam questions. A lot of people brought lunch with them but there is a Tesco about 10 mins walk/2 mins drive away for those who wish to buy lunch. I was thankful that tea/coffee and water was available all day at BGS which certainly helps when my brain was starting to fry!! The instructors were first class, extremely knowledgeable, passionate and provided plenty of hints and tips for the exams! Help and support is in abundance at Bristol whether that be through the instructors, admin staff or amongst other students, where I made some great friends. Instantly I knew all the previous self study at home for Mod 1 was worth it! 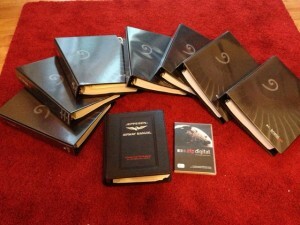 Books open ready for study! After an intense but enjoyable week of revision courses, it was time to face the exams! I’d chosen to do my exams at BGS straight after revision as I wanted to retain the continuity which meant I took less time away from work,plus it was reassuring to take exams in a location where I was already familiar with . The exams are conducted electronically with each workstation equipped with a laptop. A lot of my fellow students did the same as me whilst some were to take the exams in future sittings. I sat my Mod 1 exams over three days, Gnav on Tuesday, Met and Human Performance on Wednesday and Instruments on Thursday I found all exams very challenging and tough, particularly Gnav and Instruments! Now I’m just (anxiously) awaiting to hear back my results from the CAA!! 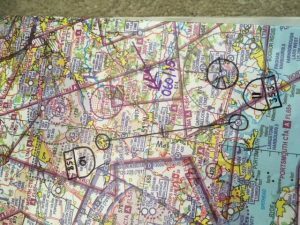 Just a quick update from my world amongst the ATPL study folders! I’ve now read and completed all progress tests for the four module 1 subjects after 5.5 months of study! But the work is by no means coming to an end, I’m now into the revision stage, preparing myself for the four exams in early June! Together with the revision, the progress tests have been extremely beneficial to indicate my strengths and weaknesses, allowing me to focus on areas which need more work alongside hitting the question bank daily. A little over a month from now, I will pack my bags for Bristol and attend the brush up revision week before the exams. I’m looking forward to this as it will help fine tune my revision and understanding as well as meeting other BGS students! Essentials for revision, thanks Wilko, top bargain! So, nearly two months into Module 1 now and the work pace and content is really picking up, with constant flow of lessons and progress tests. I feel like I am learning more facts, acronyms, diagrams than anything ever before, my poor little brain is beginning to fry! But as I’ve heard from many other ATPL ‘graduates’ it’s to be expected and to be honest I’m finding it all very interesting and enlightening even if I grumble when attempting to read through ‘Polar Stereo chart projections’ in a Friday night after a day of work! …To name but a few. The learning curve is steep but I’m determined to achieve first time passes in the exams so I am throwing in the hard work and effort! I am working to a loose schedule, so I plan to attend the revision/brush up week in lovely Somerset around the end of May and immerse myself into the first batch of exams in early June…gulp!! As you have probably seen in the opening picture, I bought myself some revision essentials. I have been recommended using a whiteboard to scribble down various diagrams, facts etc- basically any way to drum it into my head! And ofcourse plenty of high lighters and post it notes to litter the walls of my room in revision goodness! 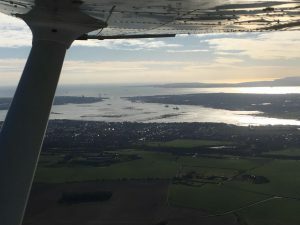 In March 2015, I was fortunate enough to win The Air League / Bristol Ground School ATPL (A) scholarship. These are the 14 ground exams I need to pass in order to reach my goal of becoming a commercial pilot. ATPLs unwrapped! 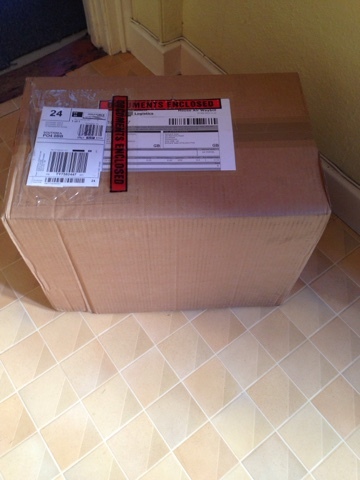 One BIG parcel! Alongside the hefty study folders below, I plan to undertake the online lessons and progress tests (through ATPdigital) on my iPad mini. The advantage of this being I can study away from home, on the move, or even at work! 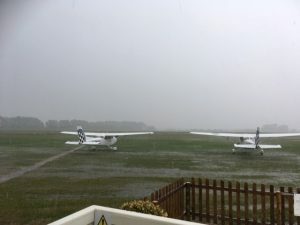 (During those glorious washout days the airfield!!) The huge advantage being that the software and content can be automatically synched over an Internet connection. Whilst studying alongside my full time job, as an estimate I should complete my ATPL studies by spring 2017. So, before I tackle the first subject (AGK-Instrumentation), first job is to complete the maths and physics module.Since being out of education since only this summer I think refreshing my amateur maths skills can only be a bonus!! This introductory module is extremely beneficial as it will allow me to form a solid foundation before tackling the more technical elements of the studies. The exciting contents of the parcel. All logged in! Time to tackle the maths. That’s it for now, I shall be keeping this blog updated during my ATPL studies , when time and brain power allows!! Once again I am extremely grateful to The Air League and Bristol Ground School for this scholarship and opportunity to reach one step closer to my aim of gaining a commercial license. 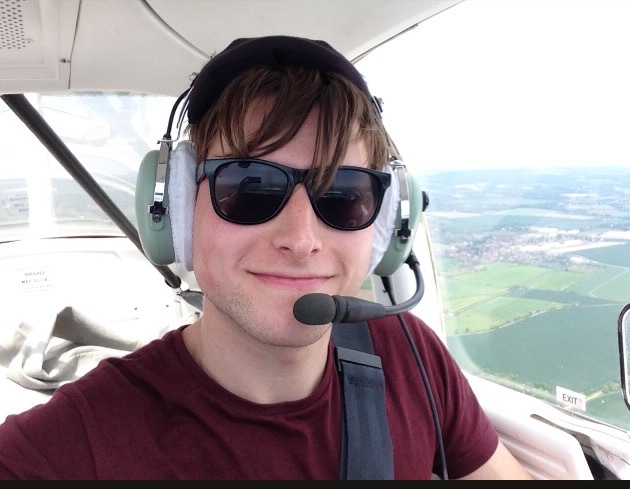 Richard Gale is a student pilot, studying with Bristol Groundschool as part of his commercial pilot training, towards his EASA Commercial Pilot’s Licence. 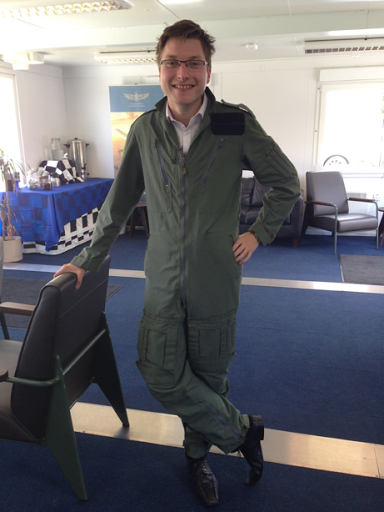 He is planning to write a blog throughout his training to provide aspiring pilots with an insider’s point of view. Richard completed his PPL in 2012 and has since gained his night rating in 2014. 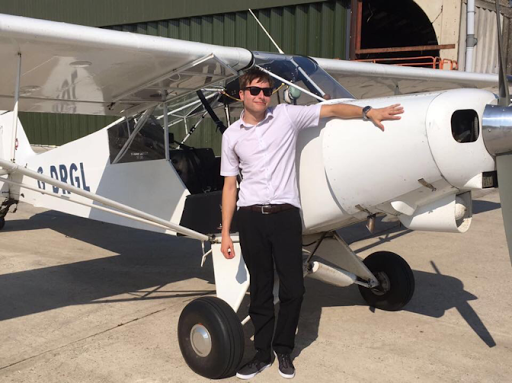 Richard was lucky enough to win a scholarship through The Air League and Bristol Groundschool to start his ATPL theory training in March 2015. 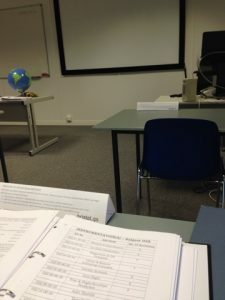 He is continuing his flight training in parallel with his studies. 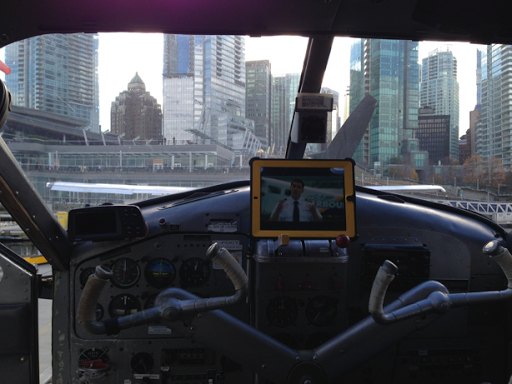 Follow Richard as he continues his training towards his goal of becoming an airline pilot.